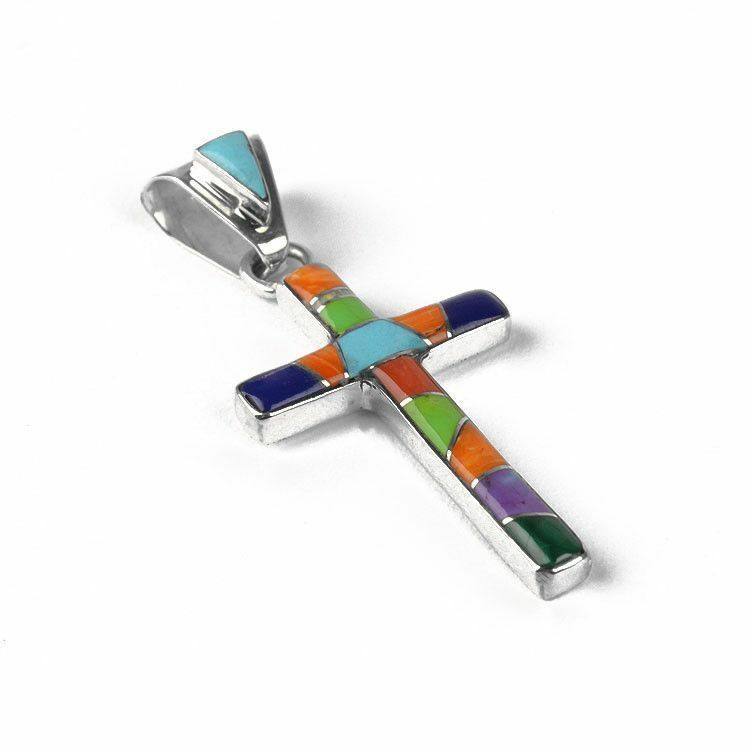 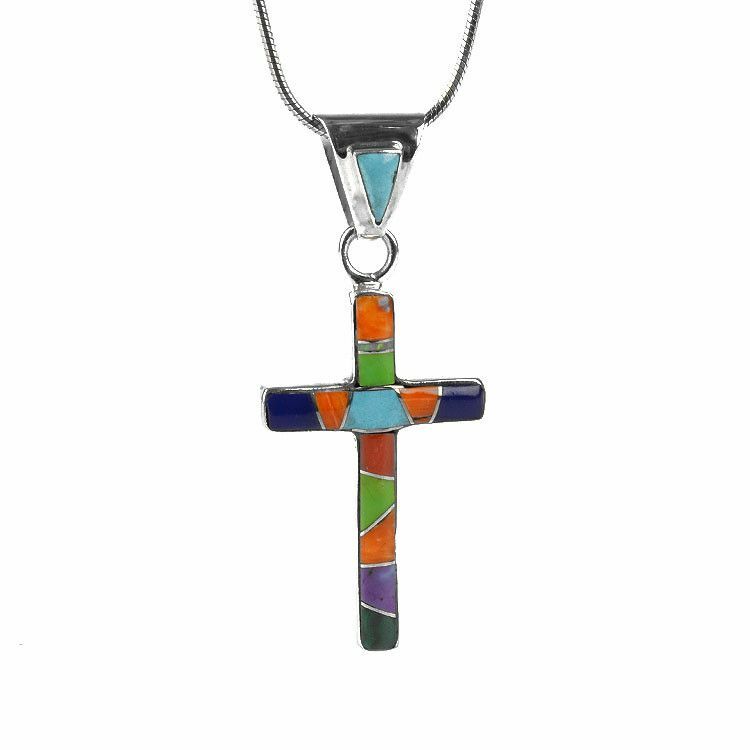 This colorful cross pendant features a variety of inlaid gemstones including blue and green turquoise, spiny oyster, lapis, and sugilite. 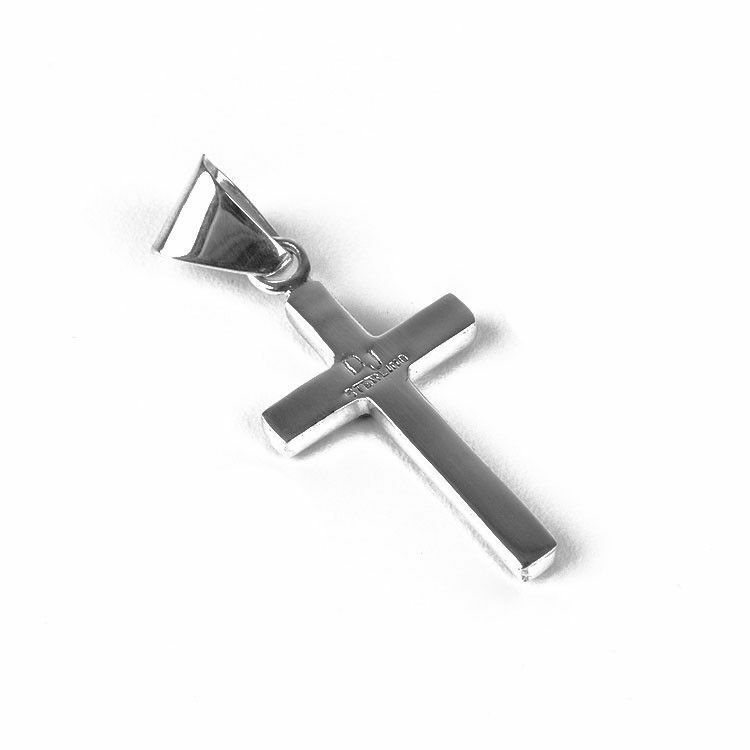 The 1 3/4" long, 3/4" wide pendant was made with sterling silver. 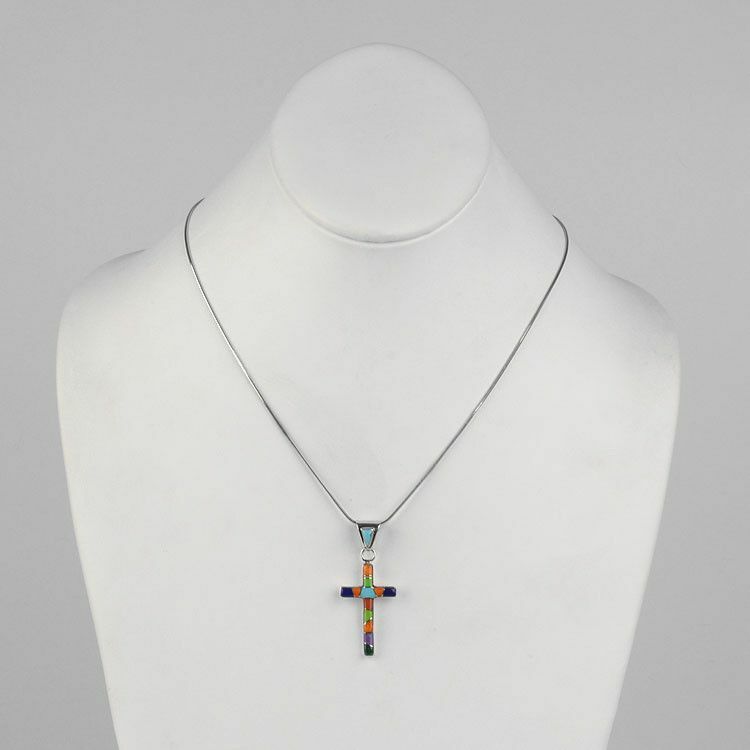 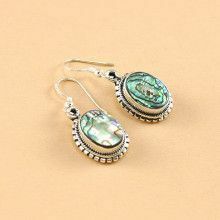 The bail features a turquoise stone and is large enough for thick chain. 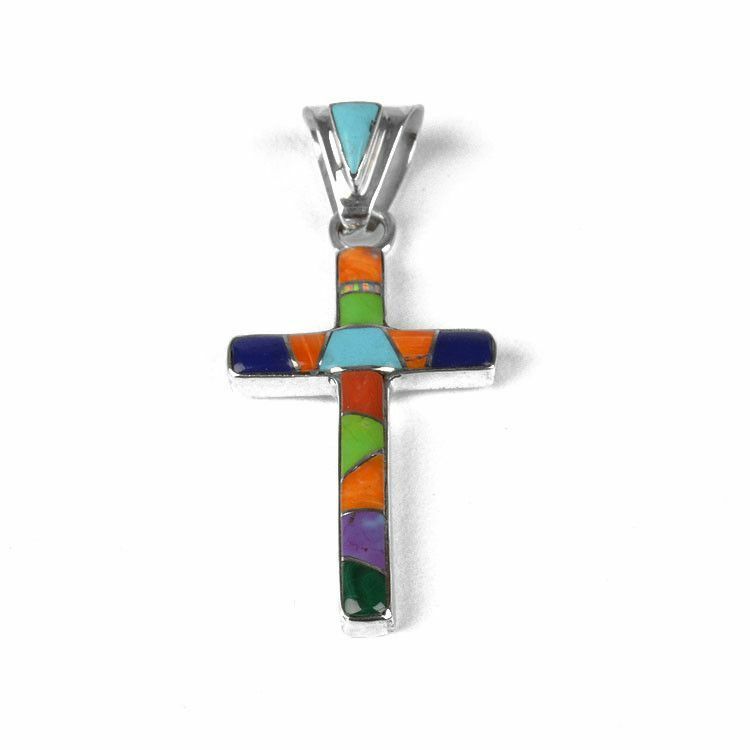 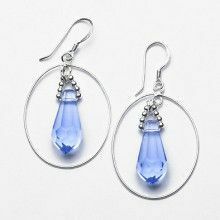 This piece of jewelry is an excellent choice for a religious gift.